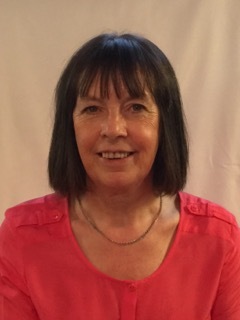 Anna Carragher has 40 years of experience working in the public service in both executive and non-executive roles. Brought up in Belfast, Ms Carragher attended Queen’s University where she took an Honours Degree in English Literature and had the great privilege of being taught by Seamus Heaney. After graduating she joined the BBC and worked across radio and television producing a range of news and current affairs programmes, including Today and Any Questions on BBC Radio 4 and Man Alive, Question Time and Newsnight on BBC television. Anna returned to Northern Ireland as Head of Programmes in 1995 and oversaw output throughout the peace negotiations and the establishment of the Northern Ireland Assembly. Among her commissions as Head of Programmes were Give My Head Peace, PK Tonight, Hearts and Minds, The Stephen Nolan Show and the Legacy series on Radio Ulster. She became Controller, BBC Northern Ireland, in 2001 with editorial and managerial responsibility for the Corporation in Northern Ireland. After leaving the BBC in 2006, Anna became the Chair of the Grand Opera House Trust. She also served as a member of the Human Fertilisation and Embryology Authority and a Commissioner for the Equality Commission of Northern Ireland. She is currently a member of the Board of the Arts Council of Northern Ireland, the Electoral Commissioner for Northern Ireland and a trustee of the Wildfowl and Wetland Trust.